Guyana was one of the most unique places I have ever visited. For example, it’s part of South America but self identifies as a Caribbean Island. The population is mostly made up of Indo-Guyanese and Afro-Guyanese whose ancestors immigrated in the 18th and 19th centuries to work on sugar cane population under Dutch and then British control. The merging of so many cultures, including the native Ameri-Indian population as well, has created a truly unique culture and nation. 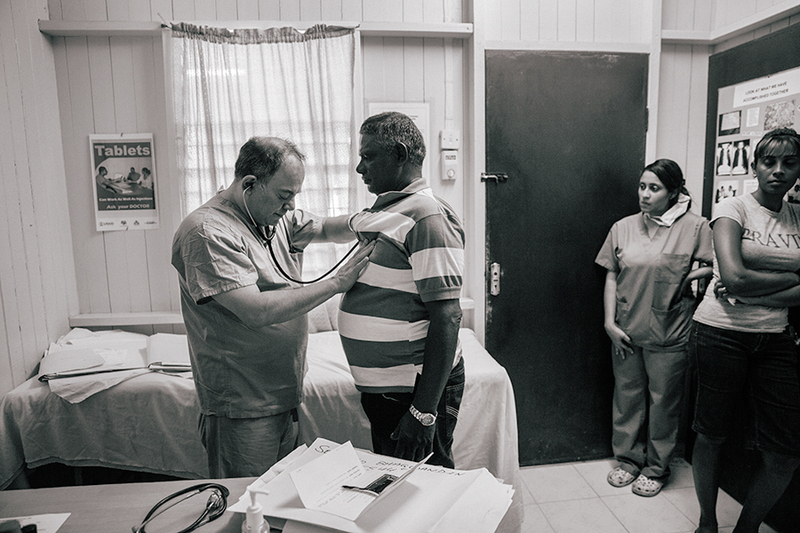 Dave and I traveled to Guyana with Doctors International to tell the story of their medical mission through photographs. 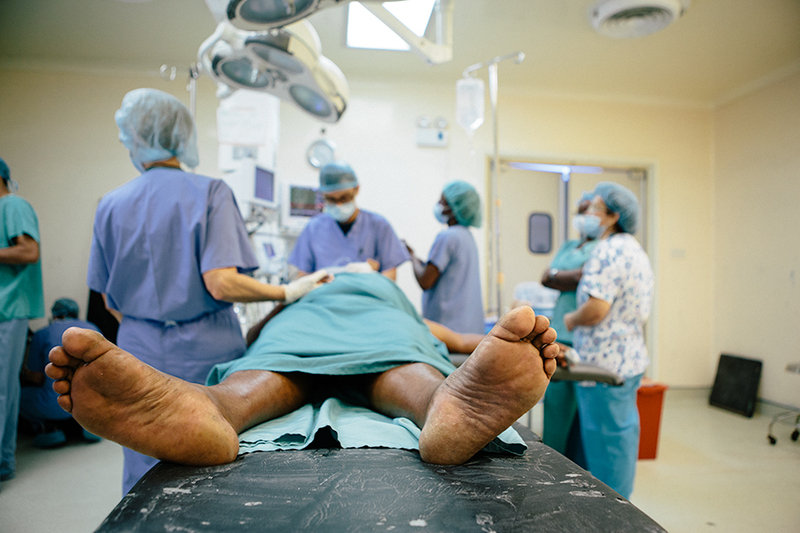 The team consisted of surgeons, nurses, and surgical techs who performed over 40 major surgeries in two hospitals in Guyana over a one week period. 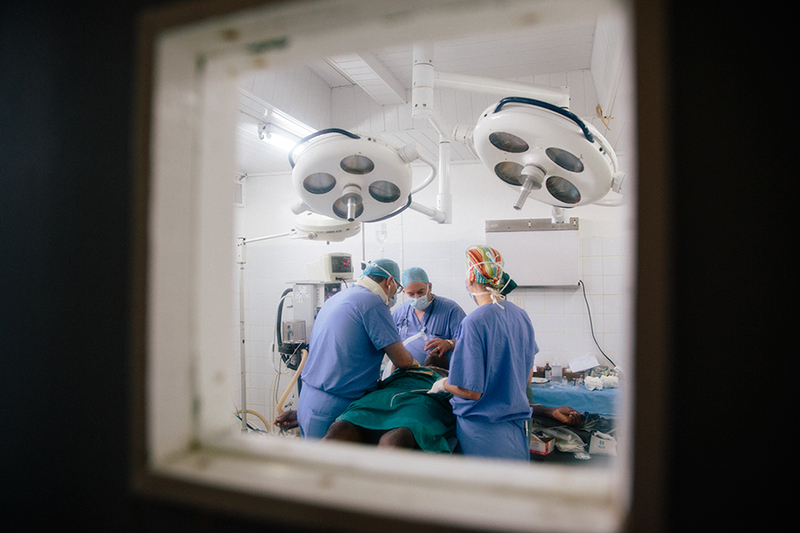 It was my first time in an Operating room and, let me tell you, it was an incredible thing to witness. 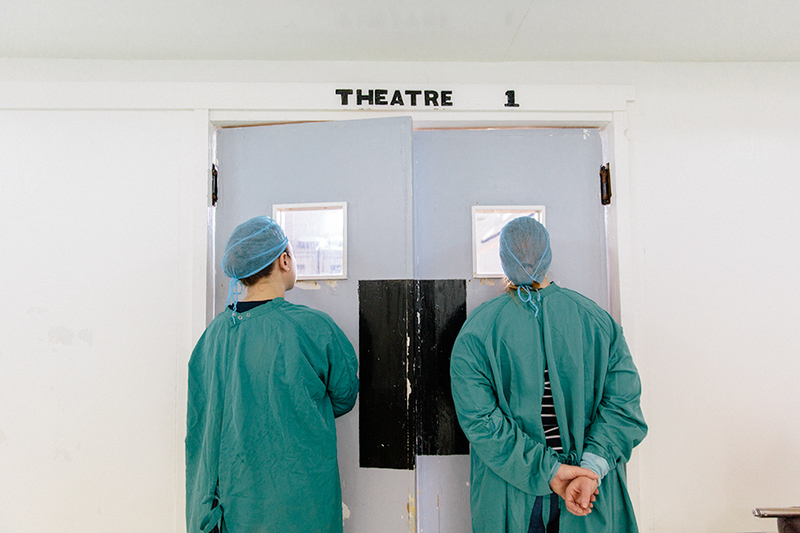 I was really unsure how I would do watching surgery because I can be a bit squeamish and I’d heard that it is pretty common to pass out. However, I am proud to report that I watched many organs being removed and stayed on my feet. I even found the whole process fascinating. Don’t worry, I don’t see any career changes in the future. I will stick with photography, over the medical field thanks. Anyways, here are a few of our favorite photographs from around the two hospitals where we worked. 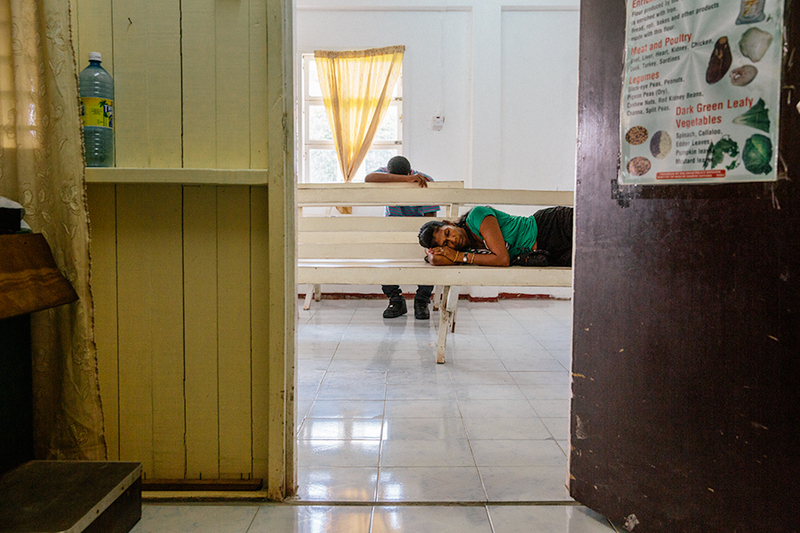 The families of patients doze as they wait for their loved ones to be seen in clinic. Anesthesiologists prepare a patient for surgery an operating room. 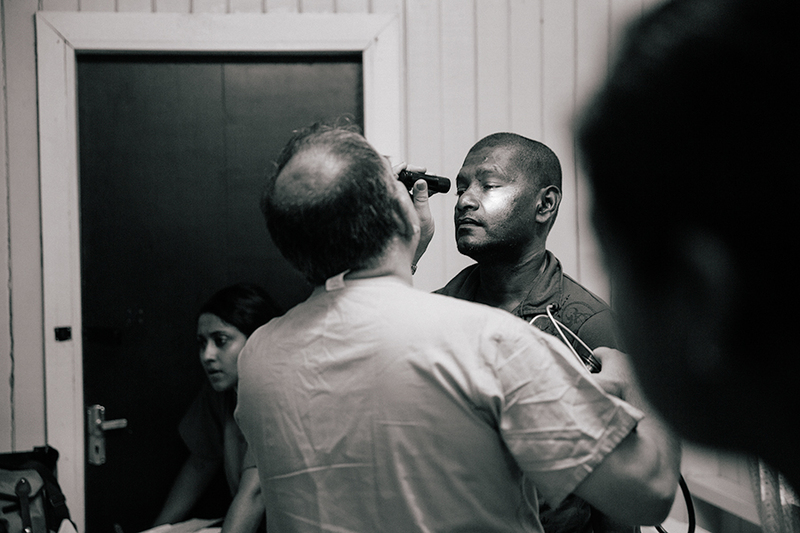 A patient is seen in the West Demerara clinic prior to surgery. 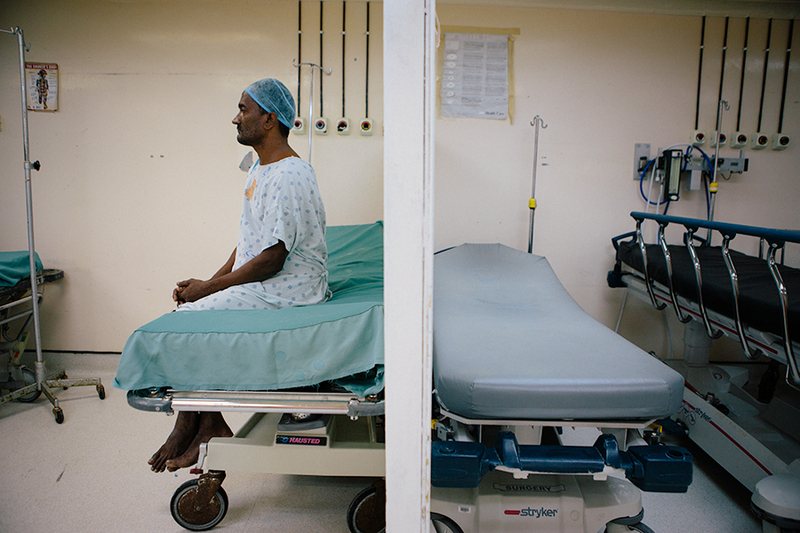 A man waits nervously for his surgery. American medical professionals observe a surgery performed by a Guyanese surgeon. Medical professionals intubate a patient while preparing for surgery. 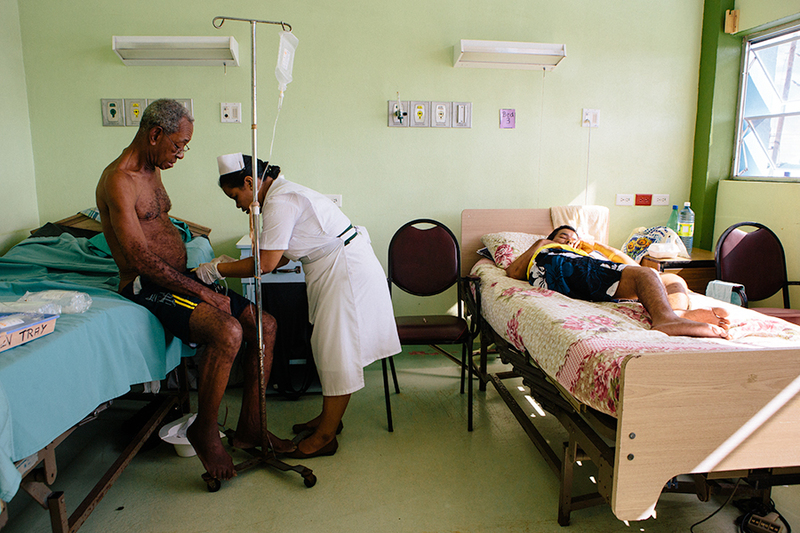 A Guyanese nurse checks on patients post-operations. 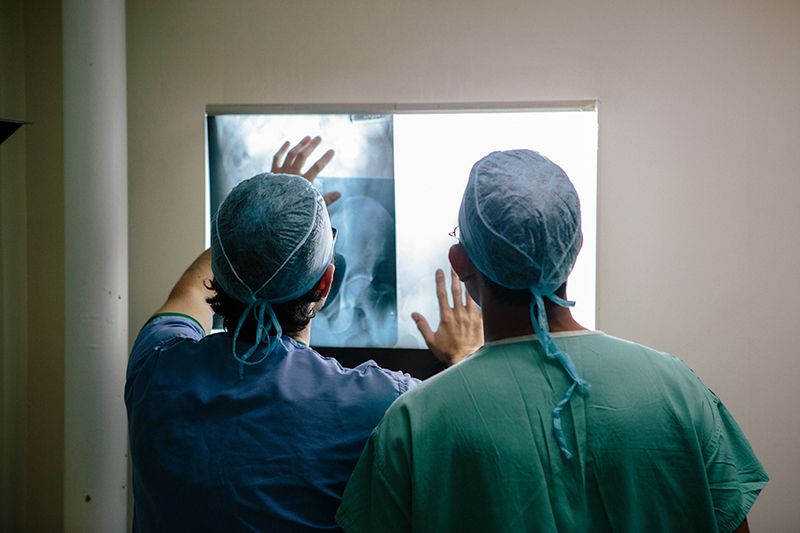 An American surgeon reviews x-rays with a Guyanese surgeon. 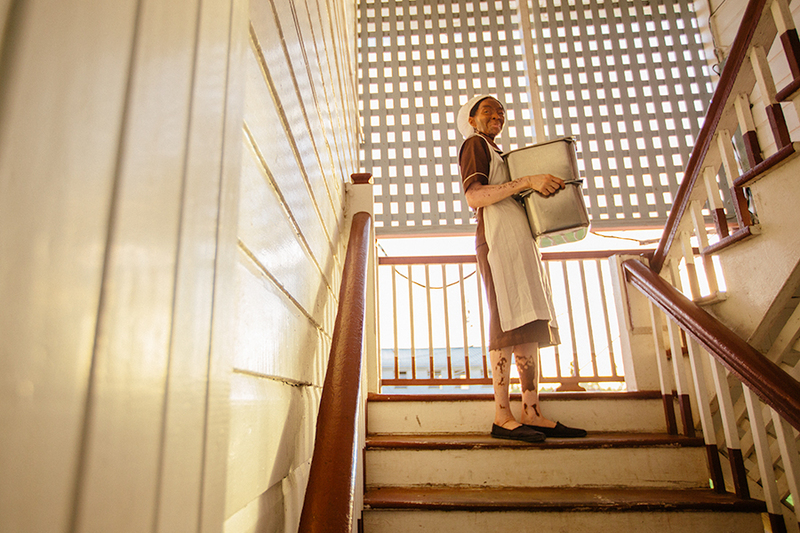 A hospital employee works tirelessly cleaning up after surgeries and births as the sunsets. 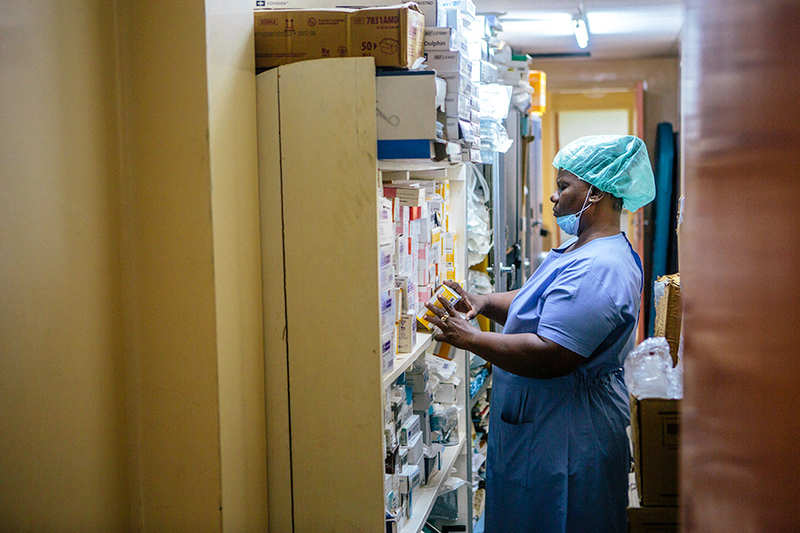 A Guyanese scrub nurse looks through supplies to find the correct sutures. 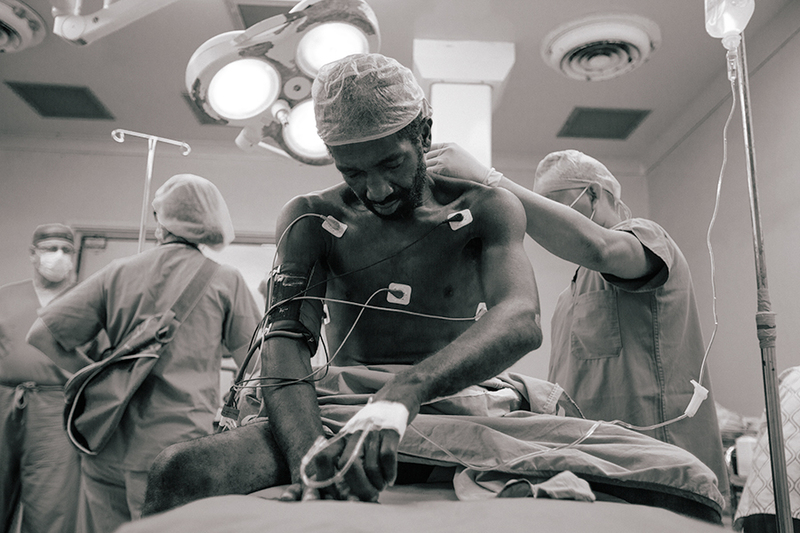 A Guyanese patient sits calmly as he receives an epidural. I learned a ton on this trip and it was such an honor to work alongside such talented physicians who truly care about their patients. PS: Like this post? You’ll also love Markets of Thailand, Chiang Mai, and Lalibela.